Kamariya Lyrics from Stree feat Nora Fatehi is an Item Song sung by Aastha Gill, Sachin Sanghvi, Jigar Saraiya & Divya Kumar. Its music is given by Sachin-Jigar while lyrics are written by Vayu. 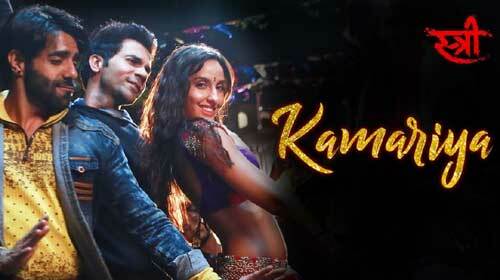 If you find any mistake in lyrics of KAMARIYA LYRICS – Stree | Nora Fatehi Item Song song please let us know in comments.